Mega-City One, 2127 AD. This vast urban nightmare is situated along the eastern coast of post-apocalyptic North America, with the polluted Black Atlantic on one side and the irradiated desert that is the Cursed Earth on the other. Home to 400 million citizens, crammed into giant citi-blocks, overcrowding is rife, unemployment endemic and boredom universal. Tensions run a constant knife-edge, and only the Judges can prevent total Anarchy. Empowered to dispense instant justice, these future lawmen are judge, jury and executioner. 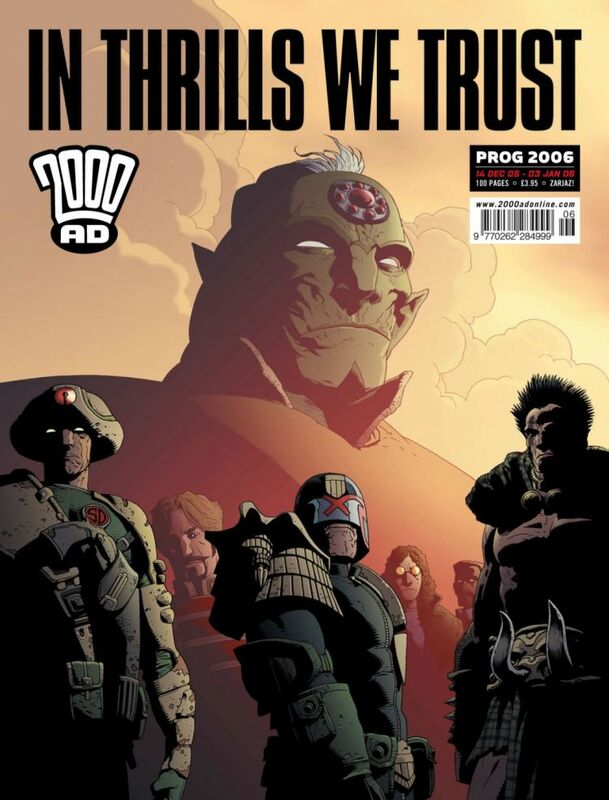 Toughest of them all is JUDGE DREDD - he is the Law!